The DePietro Performance Center plays host to a number of exciting comedy events and original comedic works throughout the year. Stand-up comedy contests, satirical comedic revues lampooning life in and around Orange County and comedic plays by budding playwrights are only a few of the activities staged at the theater. In addition, the venue also serves as an intimate and exciting concert hall- that features up-and-coming established artists on a regular basis. The DePietro main stage and backstage areas are both available to theater groups, production companies, and businesses or corporations for rental purposes. The DePietro Performance Center is used for major but intimate events. 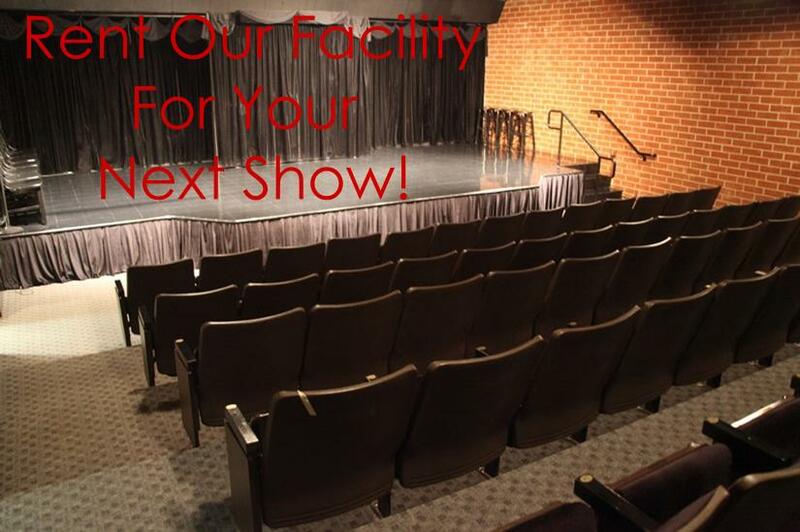 A small backstage theater space is available for classes, rehearsals, and workshops. The theater offers a contemporary, dramatic and intimate 78-seat facility; perfect for many performance uses. Though the theater was built as a home for the Orange County Crazies, the county’s premiere sketch and Improvisational comedy production company and its school, it also is the perfect venue for original plays – both comedic and dramatic – and musical concerts. This theater has a variety of events sponsored by the DePietro Performance Center weekly; however, it also rents the facility to local theater groups, musical production companies, and others who wish to stage productions in a comfortable yet elegant setting. The stage, measuring two-feet high, 30-feet wide and 15-feet deep, offers a double door “false” wall – for easy actor access – while also providing plenty of room for sets and scenery. A decorative color-scheme of block, rust, and wheat, accent the seating area to give the room a relaxed and contemporary feel. Adding to the classic yet cozy motif of the theater interior is an entire wall of natural red brick. Open ceilings, washed in block, and perfectly-placed tiered seating – six rows in all – promise wonderful site-lines from any seat in the house. Seating design is plush with deep-cushioned black velvet-covered chairs all of which have been specially laid out to offer theater-goers more legroom than they could ever find at any other similar venue. Heavy velvet curtains held gracefully with gold woven rope-ties, adorn three separate entrance/exits, all of which lead to an open, free-flowing lobby area. A refreshment counter offers beverages and snacks before the show and during intermission. The theater is used for sketch, improvisation, and stand-up comedy; musical concerts, (from jazz to classical); and original plays. Patrons who frequent the theater all agree that their experience there is exciting, intimate and thoroughly enjoyable. The “Backstage” theater space, which offers raked seating for 18 and a tiered stage, is perfect for recitals, readings, classroom activity and auditions. The “Backstage” also serves as the lounge and waiting area for actors, waiting for their cues to take to the stage. Immediately adjacent to the “Backstage” are two privacy -oriented dressing rooms with built-in tables, make-up mirrors and seating for ten cast members. Just off the dressing room area is a large costume bay. Both performance spaces at the DePietro Performance Center lend themselves well to the varied uses of the eclectic performing arts community. Groups who rent the facility for the night as their own to stage special events and private parties are assisted by an energetic and courteous staff that arrange everything from special technical requirements to food catering.